Did you know we offer PHP Systems? 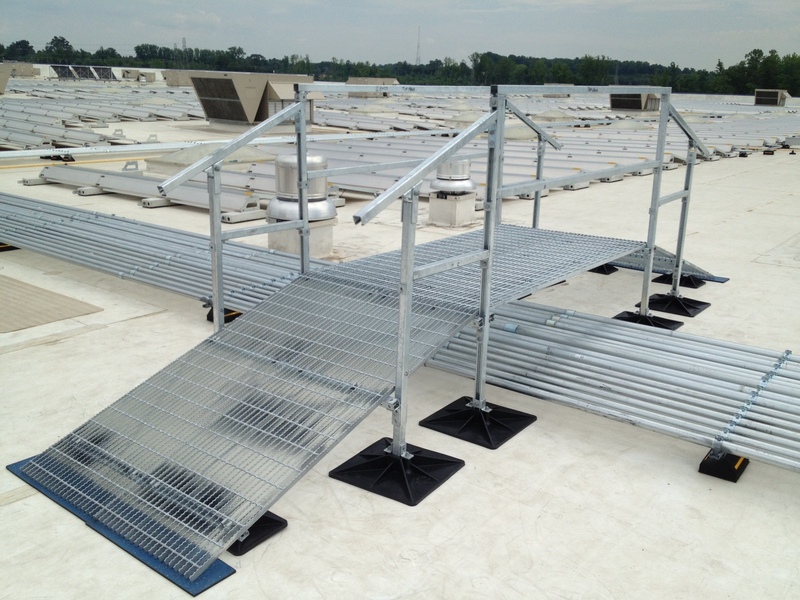 PHP Systems is Americas leading source for roof pipe support systems and rooftop crossover stairs, walkways and platforms. When you have a need for a non-invasive and easy to install support system for a rooftop, PHP is the solution. PHP supports are created using hot-dipped galvanized steel and supported by high-density polypropylene bases with UV protection, that delivers a superior level of customization and sustainability against even the most intense environmental conditions. This solution has been provided for many applications in Georgia and the Carolinas for many types of buildings, including hospitals, office buildings, and as well as industrial applications. We can meet seismic and wind requirements and provide the necessary engineering for the PHP systems as well. In situations where traditional sheet metal curb and rail applications aren’t a good solution consider the PHP solution. Contact us today to speak with a rep about this product and your application needs.